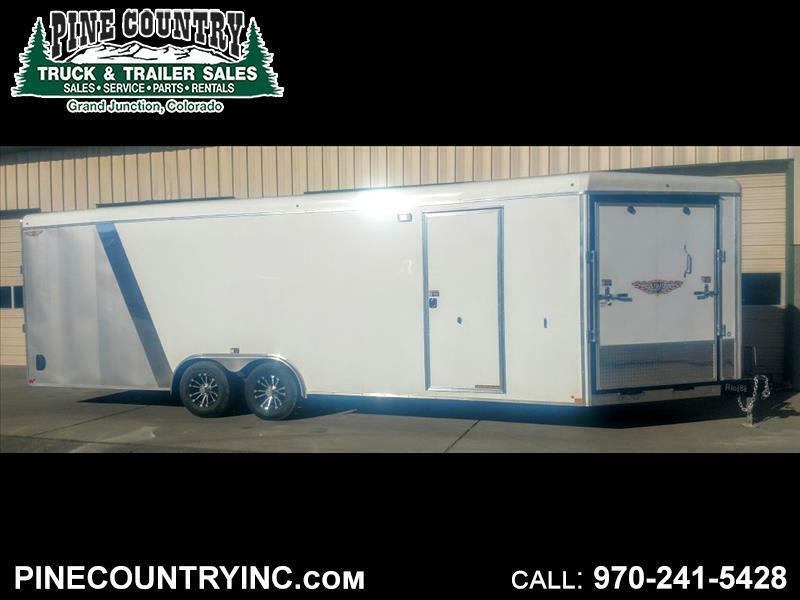 H and H 24 Ft Dual Sport Combo Trailer, 10K Rated, Front And Rear Cable Assisted Ramp Doors, Side Access Door, Side Escape Door, Fuel Doors, Two Tone Screwless Skin, All LED Lighting, Bed Lined Frame, Adjustable Coupler, Extra Height, ATP Stone Guard, Porch Light, Custom Aluminum Wheels, Fully White Vinyl Lined Interior, Poly Bead Flooring, HD Recessed D-Rings, Helmet Cabinet, Interior Dome Lights, Drive Over Fenders, Side Wall Flow Through Vents. Side Wall Flow Through Vents. Message: Thought you might be interested in this 2019 H&H H10124COSN-100.